The icon identifies that the work includes a video version. 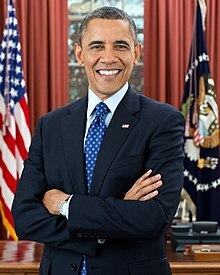 Some or all works by this author are sourced from www.whitehouse.gov. Except where otherwise noted, third-party content on that site is licensed under a Creative Commons Attribution 3.0 License.